Vinyl and vinyl planking has increased hugely in popularity in the past couple of years. The technology has advanced to such a degree that the realistic wood and tile patterns are difficult to tell apart from the real thing. Add to the mix stylish, modern designs, as well as a range of gorgeous patterns, and your list of options becomes almost endless. Vinyl Planks also referred to as LVT (Luxury Vinyl Tiles), is a very fast growing category. It is cost effective, extremely hard wearing, and because it comes in a box and is laid as individual planks or tiles, looks very realistic down. Also commonly referred to as Lino or Linoleum – Vinyl comes in rolls of 2, 3, and 4m wide product. 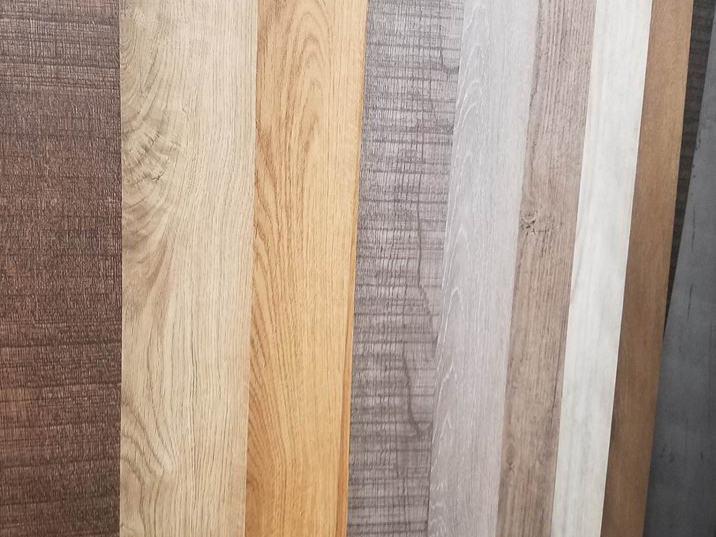 All of our products at The Flooring Room are priced in m2 to make it easy to compare various width products. Vinyl comes in two main forms – ‘compact’ which is firmer under foot or ‘cushion backed’ which is softer but more easily damaged. Remember, you can book a free measure and consultation with us. We can visit you at your home at a time that suits or if you prefer, simply pop in to our showroom for a chat. Vinyl and vinyl planking has become a hugely popular flooring option around the world. Pick up any interior design magazine and it is highly likely you will see some form of vinyl featuring on the floors of executive offices or modern homes. When choosing a vinyl it is important to think about what you are trying to achieve and how other features such as wall colour, room size, and furniture can add to your vision. If you are expecting large quantities of foot traffic (such as in a reception area) it is important to get advice on what will be the most durable. A ‘compact’ style could be the best choice as although it doesn’t provide as much softness underfoot, it will prove to go the distance.